Utsu-P is one of the most renowned vocaloid producers of our time who specializes in ‘VOCALOUD (vocaloid in loud rock).’ Since the upload of his first original work “DOLL” in 2009, he has been releasing one original masterpiece after another in loud and heavy rock style on video upload websites. He features screams and growls by vocaloid in his music. Not only for his vocaloid works, but he’s also highly praised for his bass playing skills presented through his video clips and active in performing live stages with other online performers. 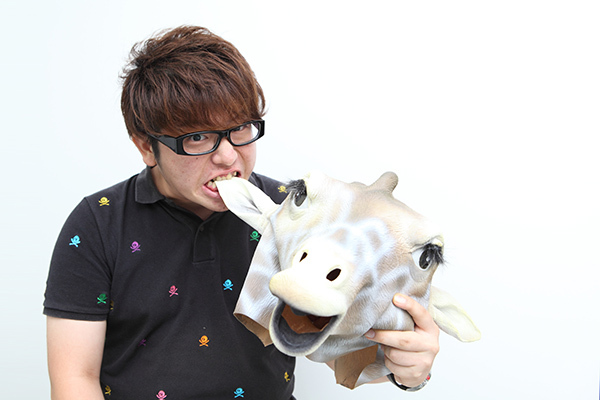 More than 10 of his work uploaded on Nico Nico Douga have gained over 100,000 plays and ranked in the Hall of Fame for the VOCALOID category. He recently released his 1st nationwide album “Warufuzake” in 8/2013.